Game Of Thrones’ fourth season sailed through the Moon Door last June, leaving fans bereft of brutal death scenes to turn into squeamish GIFs. 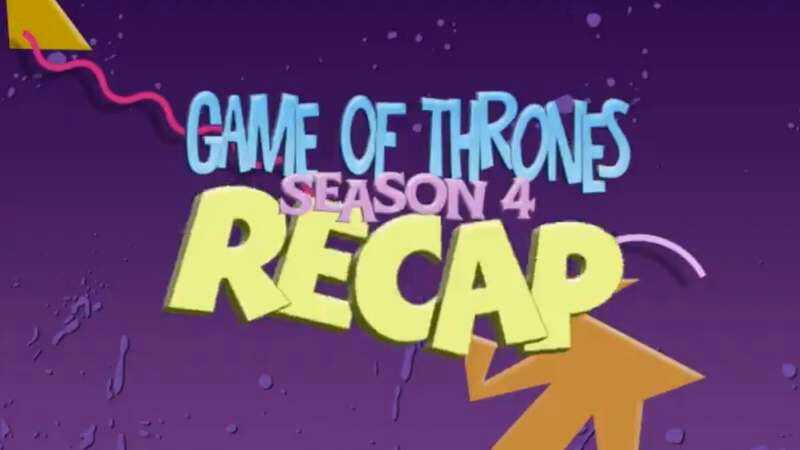 But the hit HBO series is back on April 12, and refreshers are in order to remember all the stuff that happened in between the impalements and eye-gougings. Luckily, Whalerock Industries is here to help with this delightful mashup, which sets all of season four’s major events against the spastic pastel milieu of Saved By The Bell’s opening credits. The true magic, however, is in the theme song’s repurposed lyrics, which do a surprisingly good job of summarizing 10 hours of television while still retaining the spirit of the original. If it isn’t abundantly clear, spoilers (and nostalgia) abound.